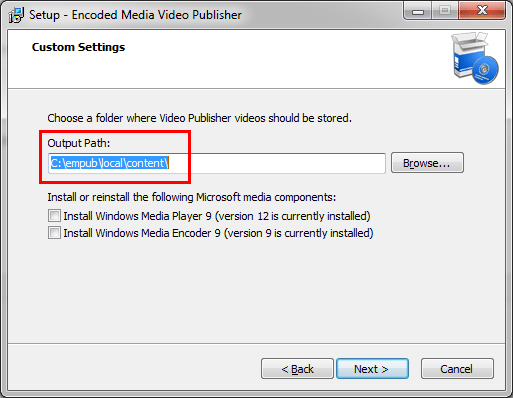 The content root for your location may be different from the default value shown above. Please be sure to ask your network administrator before proceeding. At a later date, you may wish to change this location, such as when connecting a new external USB storage device, or when accessing shared content via a folder on the network. 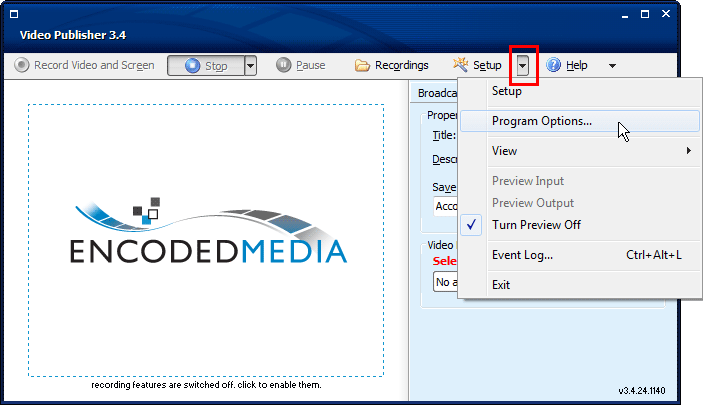 Start Video Publisher or Duet Recorder. Select the Files and Folders tab. Click the OK button to save your changes and return to the main screen. 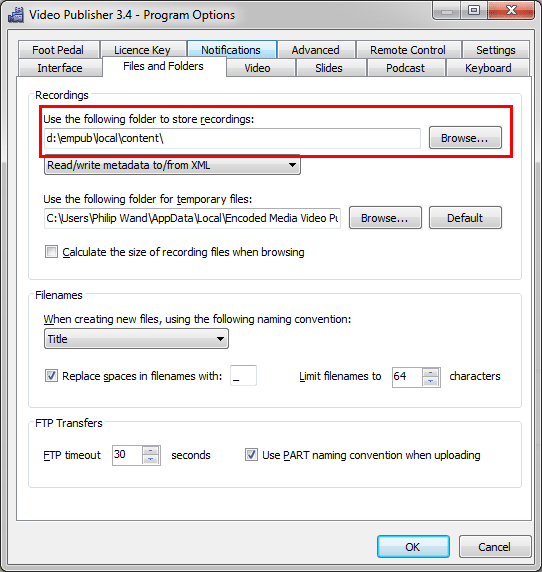 Changing the content root to a new location will not affect your current recordings in the existing content folder. No files are copied, moved or destroyed when you change the content root location.